Starting a new business is exciting and scary. And I don’t know about you but when I am excited about something I do not always take a moment to look before leaping. 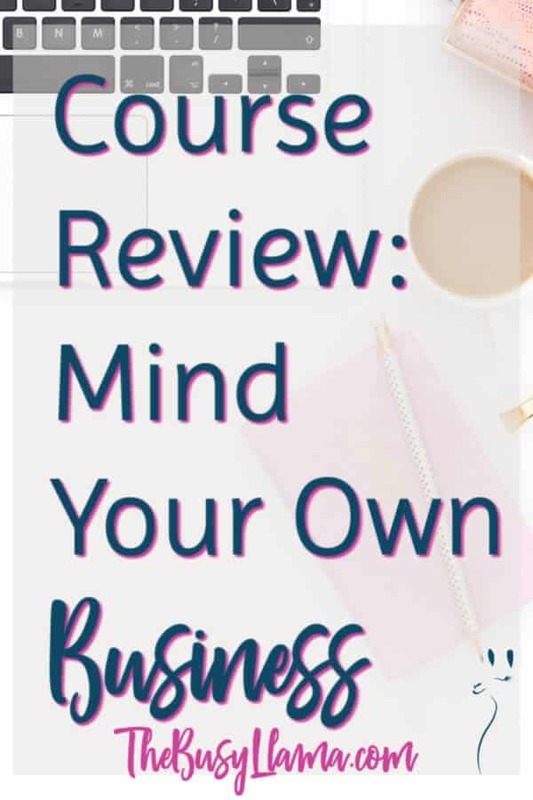 Oh, how I wish I had the Mind Your Own Business course from The Purple Teacup Co when I took the leap into my LuLaRoe business! I would have saved myself a lot of headaches. But is it the right course for you and your business? It is a well-rounded course that includes many details that you might omit when first starting a business. TPTC’s writing style and approach is very appropriate for those with a non-business background and keeps things quite simple. There is an added dash of sass and keeping it real, too. No sugar-coating or giving you a false impression running your own business is easy-peasy. The Mind Your Own Business course could benefit from some discussion on personal branding or how to differentiate yourself from every other gal on block that is selling X, Y, and Z. Personally, I am a strong believer in branding your business in a way that you can easily take all your components to a new opportunity if one presents itself. For example, I have sold LuLaRoe for over three years yet the branding for my business is not the LLR fonts and colors. I strongly believe that anyone without a business background would benefit from this course. Furthermore, if you have some business background but not entrepreneurial one where you have had to wear all the hats then it would also be beneficial. I’ll continue to review more courses, so be sure to subscribe to the blog to see the latest! And if you haven’t already done so, please be sure to familiarize yourself with my Do What You Love, Love What You Do series. We’ll continue to explore new business opportunities to find the right fit for you!